Mike Mignola has been making comic books for a long time. He's best known for being the writer/artist behind the iconic character Hellboy, subject of two feature films, animations, volume after volume of comics, popular spinoffs, including the B.P.R.D., and more. The half-demon will also be back on the big screen in a rebooted Hellboy movie next month (audiences clearly can't get enough of him). This Saturday, you can celebrate all that hellish action with Hellboy Day. Mignola himself, who calls Manhattan Beach his home, will be appearing at Earth-2 Comics in Sherman Oaks to sign comics, as we commemorate 25 years of his most famous creation. 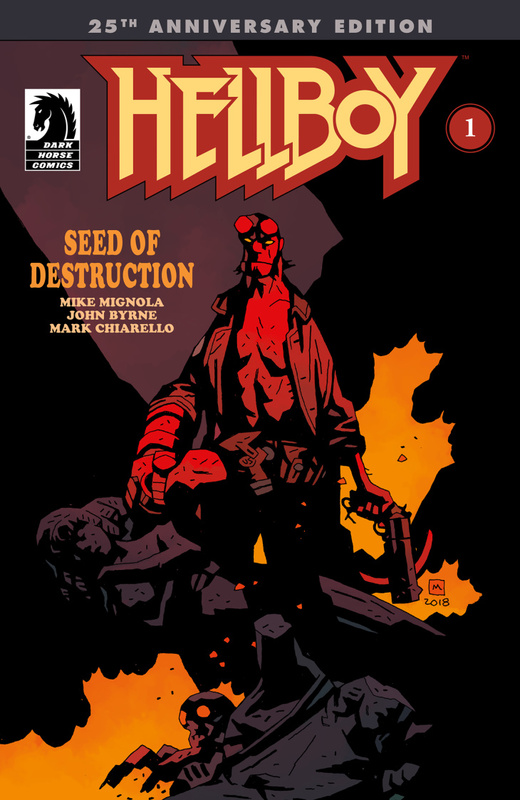 Mignola started working in comics in 1982, but it took until March 1994 for Hellboy to get his own comic. 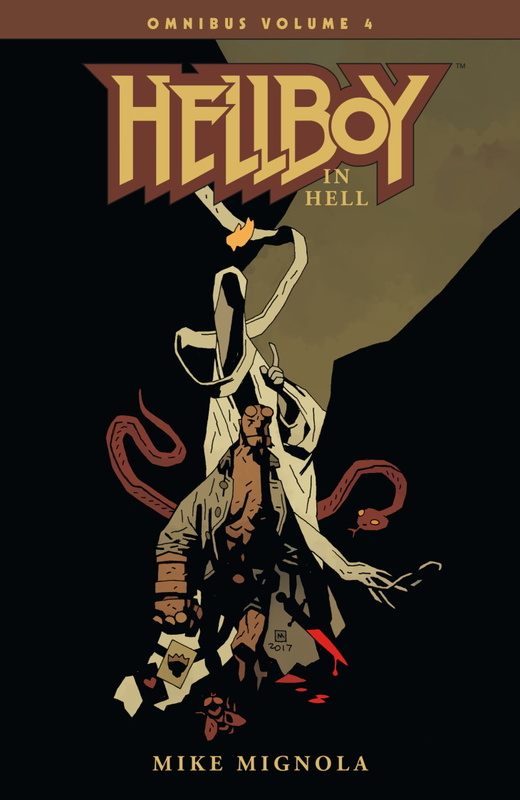 "It's all a blur really — I still think back on doing 'The Corpse,' the third Hellboy story I did, and how much fun it was," Mignola told LAist in an email interview. "The first time I put a lot of humor into it, and a lot of authentic folklore, and I was terrified that nobody would like it. Because if I had that much fun doing it, it couldn't possibly be any good. Having that much fun and having people really like it, that's when I thought this whole Hellboy thing might work out." Mignola is excited to see his demon baby boy back on the big screen. He hopes it'll introduce Hellboy to a new audience that might be inspired to go back to the comics, while pleasing regular readers with a ton of elements from the original text and illustrations. So what makes a comic book hero last for as long as Hellboy has? Mignola himself isn't entirely sure, but he says he's often heard people citing the book's combination of humor and creepy vibes. There's also the appeal of the character himself, a lovable lug known for his catchphrase, "Aw, crap." "The fact is, Hellboy himself comes across as a bit of a regular guy, as opposed to a brooding superhero-type," Mignola said. Another factor has been Mignola's impressionistic, minimalist art style. It's always been like nothing else on the stands, although there have been other artists who've picked up aspects of his approach. "My stuff is sort of blocky, clunky. It relies on shadows and a certain kind of slow-pacing for mood," Mignola said. "Years ago, one artist told me that working in my style went much faster than working in his own. Sadly, my own style does not go any faster for me." Mignola's acted as a director for his universe, often writing comics in recent years while leaving the artwork to others. However, a couple of years ago, he decided to dive back in for an important story — Hellboy in Hell, with his protagonist finally returing home, in a climax decades in-the-making. 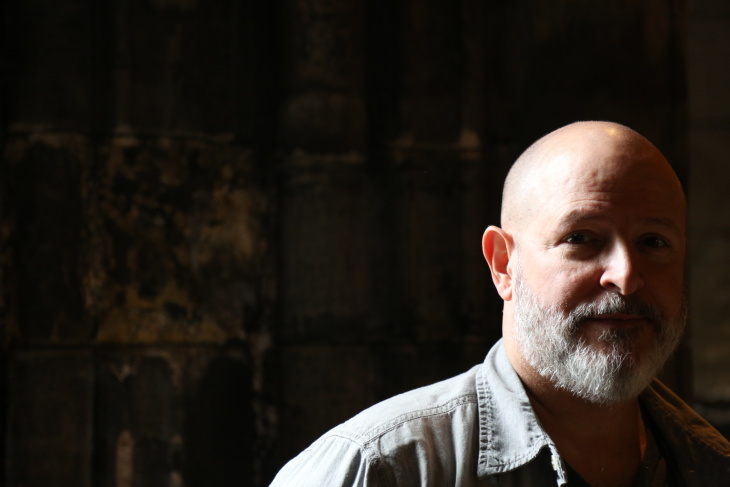 "While Duncan Fegredo was drawing my big three-book epic," Mignola said, "I was mostly just writing, and writing is just not as much fun as drawing. That whole thing went on for at least five years, and watching Duncan have all the fun gave me the itch to get back to drawing Hellboy." He wanted to make sure that he could draw the things he cared most about. "[I wanted] to come back to a different world — a world that would be made up entirely of whatever I wanted to draw: old houses leaning at impossible angles, apparently inhabited almost entirely by skeletons in Victorian clothing. So I killed Hellboy off and sent him to that world, my version of Hell, which for me as an artist was really my idea of Heaven." Mignola knew he was the only one who could depict this vision. "I never would have been able to describe that world to another artist. I wanted to put down on paper something that was pure me — made of everything I like — not something anybody else could do," Mignola said. One of the benefits of the sweeping universe Mignola created is that he's able to tell stories out of order, diving into pieces from Hellboy coming to Earth (thanks to World War II Nazis...yup, that's the origin) to his character navigating our modern world. "Even though Hellboy is dead and now the B.P.R.D. 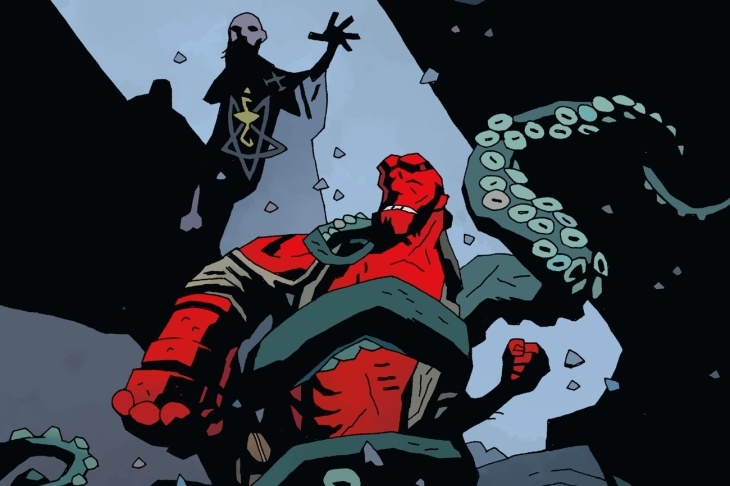 series is reaching its conclusion, there are still any number of stories to tell about the old days — all those years Hellboy and the other characters spent roaming around, fighting monsters, before the world got to be such a complicated place," Mignola said. He's even got some ideas that take place following the ending of B.P.R.D., but he said those will have to stay under wraps for now. While the comic's been around for 25 years, it's not too late to jump in. Comicbook stores will be giving away special anniversary copies of the very first Hellboy comic ever created on Saturday, and Mignola himself offered his recommendations for the best jumping-on points if you want to start dipping your toes into his universe. "I usually recommend one of the short story collections, as they won't bog the reader down with the big ongoing storyline," Mignola said. "The short stories are self-contained and serve as a nice sampler to see what the whole Hellboy world is about." After all this time and all these stories, Mignola feels immensely thankful. "Thanks to everybody for making it possible for this thing to keep going for 25 years. I'd love to keep going," Mignola said. 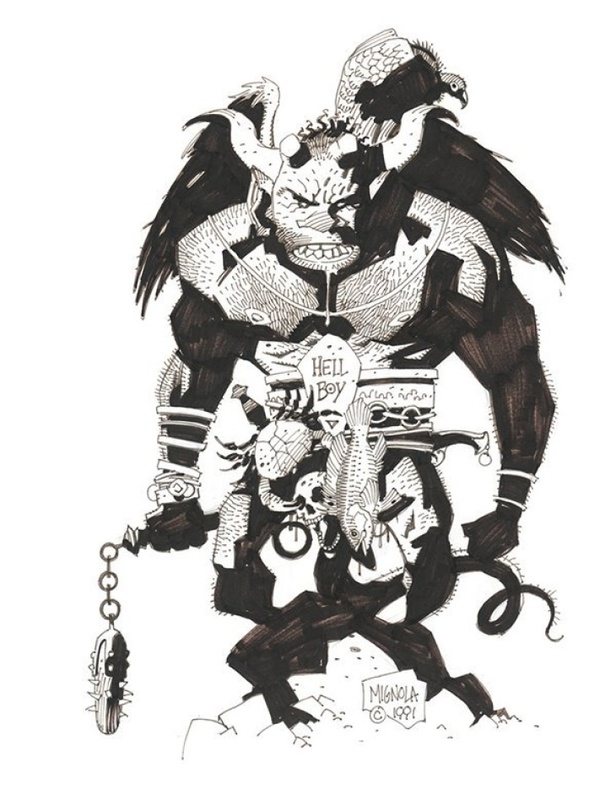 You can be part of keeping it going with Hellboy Day this Saturday — Mignola will be signing at Earth-2 Comics in Sherman Oaks from 2 to 4 p.m. You can also go see the new Hellboy movie, which opens April 12.